Your guide will pick you up right from your hotel. We'll visit the original Anchorage townsite, a monument to the great quake of 1964 (where you can see real earthquake damage! ), and the busiest private seaplane base in the world. Entrance to the Alaska Native Heritage Center is included in your tour, as are the personal experiences and knowledge of your guide who will accompany you on your journey through the center. 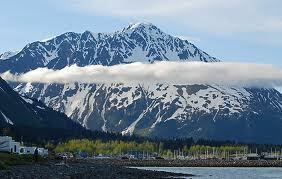 Here we’ll see a village of authentic and traditional structures from Alaska’s many native cultures. Then we’ll experience some native dancing or athletes demonstrating Alaska Eskimo Olympic Games. Explore exhibits that take you back in time. You’ll also have time to shop arts and crafts for sale by local artisans, and browse through one of the best gift shops in Anchorage.